Amaara Residences for modern living! Stanford Developers and Infrastructure area leading real estate development firm in India. The company has provided a number of successful residential and commercial properties. It has come up with, yet another promising residential project called the Amaara Residences in Central Gurgaon, Sector 12-A, Gurgaon. The residential complex is designed in an ultra -modern style, with modern amenities. Gurgaon is the most preferred location today. It provides hassle free commuting to the Delhi main city and places around Delhi NCR too. The location lies in close proximity to the Delhi International and Domestic Airport. It is home to the latest restaurants, café’s, and bars. There are modern and most high rated schools placed in close proximity. Gurgaon has the largest mall in NCR called the Ambiance Mall with high end shopping and restaurants. The residential complex provides a spacious landscape, within green natural surroundings. It has a well-maintained jogger’s track, with surrounding luscious green garden. 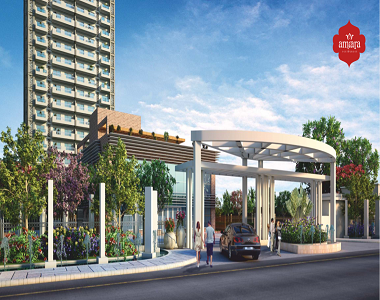 The residential complex is aesthetically designed with a world-class entrance lobby. 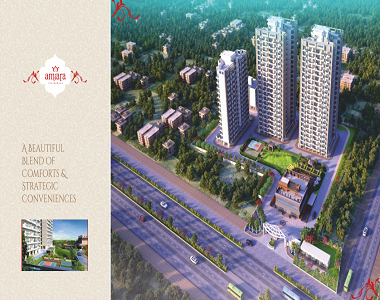 Amaara Residences Gurgaon provides its potential buyers with the stunning 3BHK flats. All flats come with a servant quarter for the home-owners maids and drivers. All flats are designed in a smart and trendy way. All the flats have wide balconies and are well-spaced out ensuring good cross-ventilation of fresh air and sunlight. The residential complex has a host of latest facilities and amenities available for the residents. You can enjoy a fitness regime at the well-equipped gym, beat the summer heat in the swimming pool, enjoy a nice run at the jogger’s track, and your kids can have a hearty time at the kids’ play area. The gated community is equipped with firefighting system, 24/7 security system, 24-hours water supply and power backup. An intercom facility is installed in every flat for security reasons. A sewage treatment plant is well planned in the complex as well. A large car parking facility for its residents where they can park their cars and visitor car park area is also available for your guest’s convenience. The complex even has a library for the book lovers. The huge collection of books at the well-equipped library at the complex is a gift to all reading minds. The gated complex, with three tier security, a beautiful landscape and modern and trendy designed apartments are well worth an investment. 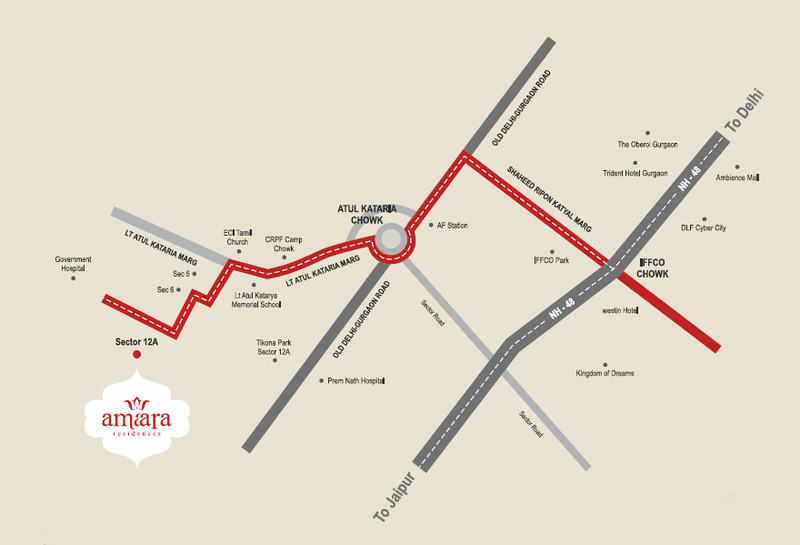 Amaara Residences price is fair and affordable. The prices for the 3BHK flats are available on request. Easy instalment options for investing in this residential complex is also available for its buyers. A minimal interest rate-based EMI instalments service can be availed to buy a flat at this modern complex. Come and make a smart investment at these sophisticated homes.